Over the past two days, students have really started to understand and get used to the academic routine here. Helping with the more rigorous transition into full-on academics were the 3-hour blocks in both Marine Ecology and Human Ecology that we had over the past two days. The long blocks allowed me to get to know each individual and teacher with our small class much better. During Human Ecology, we went inside the inner loop, which is where on old and now overgrown golf course is. There, we learned about several different plant species. We touched and even ate some of what we were learning about, and without even realizing I had learned the names of ten or more plant and tree species, such as the Indian Almond, Mahogany and Tamarind tree. 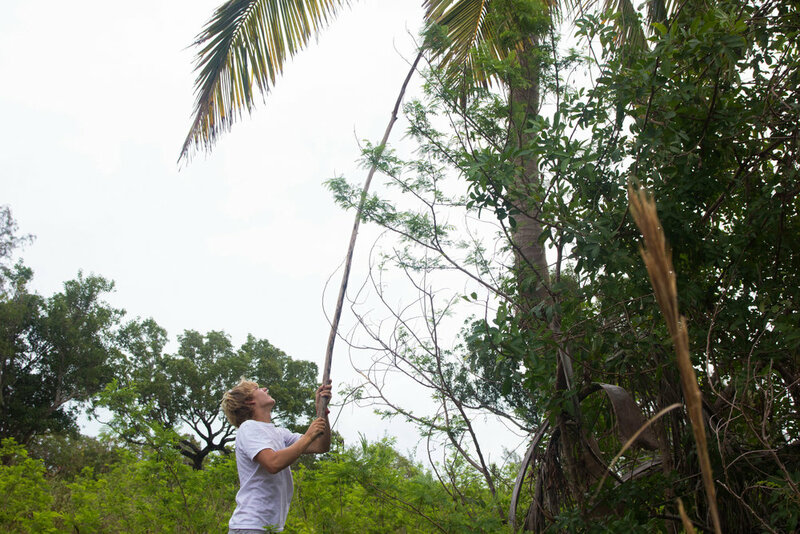 At the end of class, we knocked coconuts down from a tree and Rob, our teacher, taught us how to crack them open with a Machete. I am a huge fan of Survivor, so this was an especially significant moment for me because it is something I have watched on the show for years, and finally got to attempt! 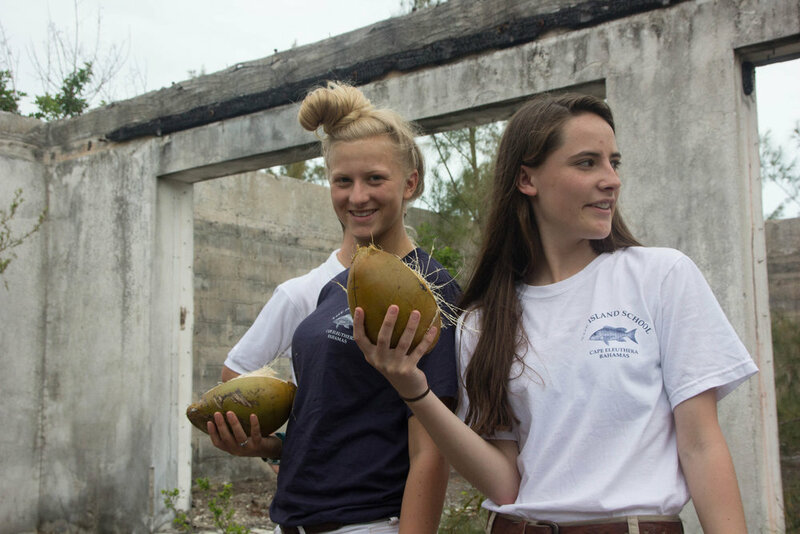 With a few big swings the coconut was open and we all got to try the sweet coconut milk. Many students were dreading a 3-hour block of class, but being immersed in the very outdoors that we are learning about made us learn more than if we were watching a chalkboard, and the time flew by as well. In Marine Ecology, our long block let us go scuba diving. The goal of this dive was to find a particular patch of coral we would study for the rest of the semester and identify the coral and algae we learned from this week’s lesson. Although I cannot dive, (because of my asthma) snorkeling provided to same immersion into the marine world. After learning varying corals, it was awesome to be able to see something underwater and think, “that’s encrusting fan-leaf algae” and then write it on our underwater slate. The slates allow us to take notes, so that we are actively engaged in our environment and taking notes on this week’s lesson. Both of these classes stood out over the past two days because it was a turning point in my academic life here. I realized just how much I was learning (as I can now list several species of coral, algae, and plants), yet while in class I was having an adventure. I cannot wait for more of these classes where I get to engage with my peers and our surrounding environment.